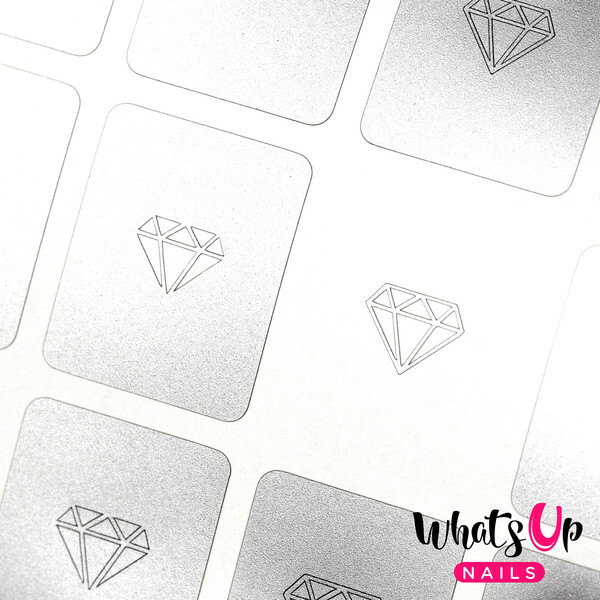 Make your nail art look fabulous with these diamond gemstone nail vinyl stickers and stencils. Perfect for Valentine's Day nails. The five sizes of the diamond stickers range from 1/4in x 1/4in (6mm x 7mm) to 5/16in x 3/8in (8mm x 10mm) and the five sizes of the diamond stencils range from 3/16in x 1/4in (5mm x 6mm) to 1/4in x 3/8in (7mm x 9mm). Medium sheet contains 10 sections with 1 diamond stencil each, and 10 sections with 1 diamond sticker each, or 20 stickers & stencils.